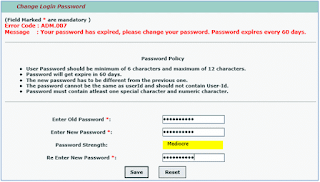 User Password should be minimum of 6 characters and maximum of 12 characters. Password will get expire in 60 days. The new password has to be different from the previous one. 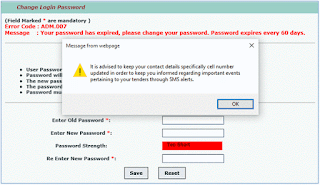 The password cannot be the same as user id and should not contain User-Id. 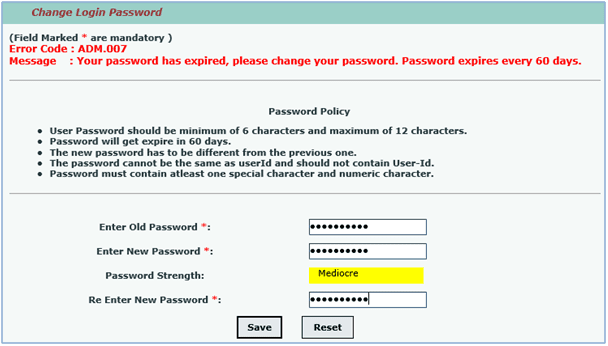 Password must contain at least one special character and numeric character. 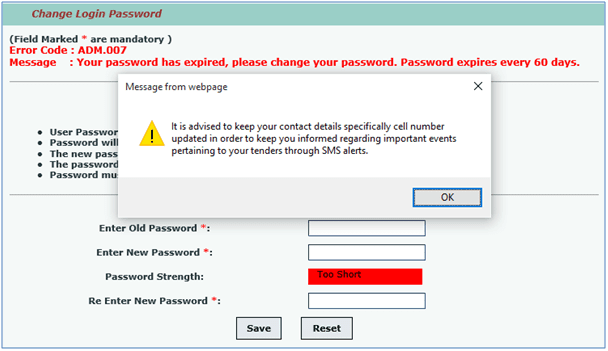 To change your expired login password, enter your current & new passwords and click on the save button. After successful change of login password you will get a confirmation message and will be redirected to your logged in home page.